Need help in building your cellar? Click here for our Wine Cellar Construction Tips. Need help designing your cellar? Click here. Comparison chart lower down on this page explains differences between the cooling systems. The first chart compares Through-the-Wall cooling units. The second chart outlines some key features of the Ducted and Split cooling units. 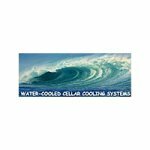 WhisperKOOL wine cellar coolers and wine cellar cooling systems are available in both wall mounted cooling units and split cooling systems. A variety of models designed for cooling up to 2000 cubic feet. NO WALL MOUNTING AVAILABLE? 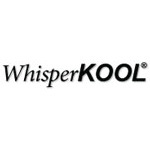 The WhisperKOOL split systems will work with spaces up to 1750 cubic feet. Also, the SC & Extreme both have ducting options. EXTREME WEATHER CONDITIONS? The Extreme Series will handle temperature from 32° F to 100° F. The Split System will also handle more extreme temperatures. 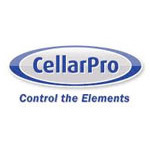 Cellar Pro, best known for being the cooling power within the Le Cache cabinets now has a full line of wine cellar cooling units. "Through the wall" units available for cabinet applications and more powerful units are available for larger wine cellar rooms. Cellar Pro cooling units are able to cool in extreme temperatures (+110 degrees for VSX), have outstanding humidity control (65% RH) and super-quiet operation. The Mid Size wine cellar cooling series can now be completely ducted when our front duct kit is combined with one of our rear duct kits! Through the Wall Systems are for up to 1500 cubic feet and Split Systems also available for spaces up to 2000 cubic feet. 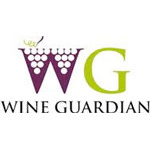 Wine Guardian offers wall mounted or ducted wine cellar cooling units as well as through the wall and split system cooling units meeting the needs of a variety of wine cellars both commercial and residential. Wine Guardian offers a complete wine cellar climate control systems that can supply cooling, heating and humidity. 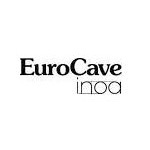 The principle of EuroCave wine cellar cooling units is to transform any type of room into a real wine cellar. Temperature control, optimal humidity levels, air circulation; EuroCave cooling units recreate the conditions which are essential for optimally conserving your wine. Two units available cooling up to 1800 cubic feet. These wine cellar cooling units are specifically designed to be installed in smaller spaces. 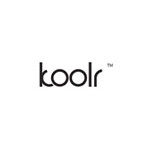 Our selection of small wine coolers are perfect for a closet, small cellars or wine cabinets. These compact wine cooler units may blow the COOL AIR DOWN or TO THE SIDE which may be needed in tight spaces. If you need to increase the humidity in your cellar, take a look at our stand alone wine cellar humidifiers. Please note, many manufacturers will void the wine cooling unit warranty if separate wine humidifier is introduced to the cellar. Please use with caution. What determines the kind of wine cellar cooling unit that is most appropriate for your wine cellar? A number of factors will determine the best wine cooling unit for you. SECOND - Do you have an adjacent climate controlled room equal size or larger than the wine cellar in which to use a simple "Through the wall" system. This allows the most options, please see first chart below. Please keep in mind that ALL through the wall cooling units will have some heat and noise at the back of the cooling unit into adjacent space. If this is not acceptable, this may be reason to look at a ducted or split system. Depending on your situation, you may need a Through the wall system for inside application or for outside application. You may also need a split system or ducted system. Keep in mind that a ducted system may allow for ducting of the cold air, the hot air or both. Most simplistic, these units sit in a hole in the wall roughly the same size as the cooling unit itself. The front end blows cold air into the wine cellar, the back end allows for hot air exhaust and cold air intake. Ducting allows the option for the cooling unit to be installed within the cellar or not. Ducting can be set up in a variety of ways. You can duct the cold air into the wine cellar, or duct the hot air exhaust away from the cooling unit/cellar or both. The length of ducting available will depend on the particular cooling unit If you are ducting cold air into the cellar then you won't see the cooling unit in the cellar; noise will be reduced or eliminated. Split Systems are similar to central air conditioning. The evaporator is located in or near the wine cellar and the condenser is located elsewhere. The evaporator and condenser are connected via a line set. A professional HVAC/Refrigeration technician is required for this installation and charging the system. Please refer to the charts below for assistance and let us know any questions you may have. The first chart relates to the Wall Mounted Systems. The second chart relates to Split and Ducted Systems. Can be installed in thick walls? SC max depth 11.5" Slimline and CX max depth 6" max depth 6" max depth 15" max depth 19" max depth 20.5"
Need help in building your wine cellar? Click here for our wine cellar construction tips. If you would like wine racks as well, we will be happy to customize a design and obtain a shipping quote for your entire order. Click to go to our wine racks pages. Whether you are cooling the wines in your brand-new wine cellar, or looking for a replacement Cooling Unit for your wine cabinet, at Rosehill Wine Cellars, we offer a wide selection of Wine Cellar Cooling Units that are extremely reliable when it comes to preserving your fine wines. 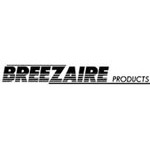 Breezaire, Vinotheque and WhisperKOOL are only a few of the many different brands of Wine Cellar Cooling Units that we carry. With different systems available, including ducted, split and through the wall, Rosehill is guaranteed to have a model of Wine Cellar cooler that will be suitable for your needs. Whether you require a Cooling Unit for smaller residential installation, or a larger wine refrigeration system for retail or commercial use, Rosehill has many options to choose from. In any case, Rosehill is prepared to offer quality consultation and support in helping you to decide which Wine Cellar Cooling Unit is best suited to the space you are cooling. We invite you to speak with a Rosehill sales representative, or read through our online comparison charts that compare and contrast the key features of the different styles and models of Cooling Units we offer. Keep your wines fresh and at their best, with one of Rosehill’s Wine Cellar Cooling Units. 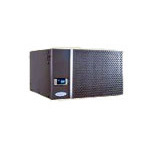 Wine Cellar Cooling Units are available for shipping to United States of America (USA) and Canada.